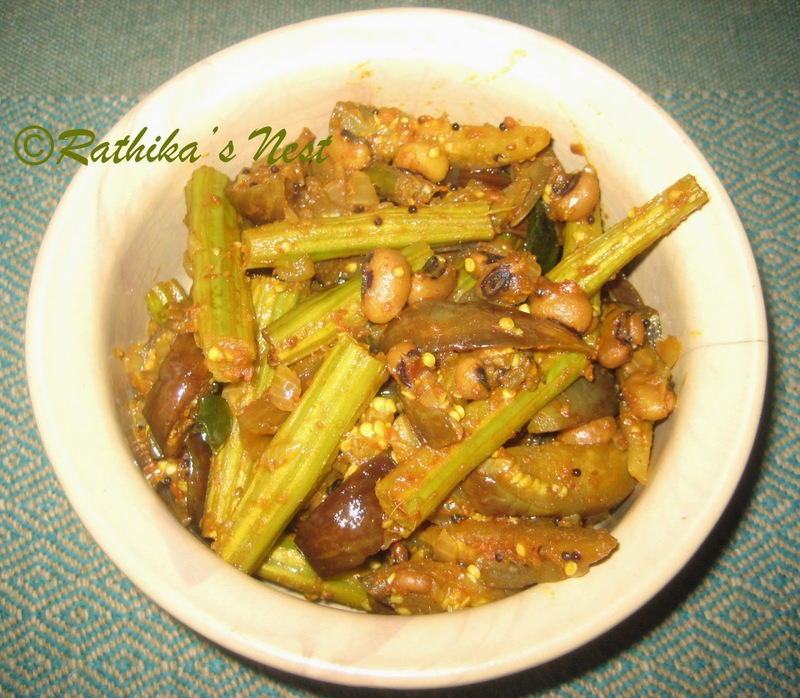 Brinjal-drumstick poriyal is an interesting and tasty side dish that goes well with rise and rasam. I often find that children do not fancy brinjal very much. At times, we also look forward to a change from the usual recipes. Interesting combinations of vegetables and spices help break this monotony. This is one such dish. Please give it a try. *Cut brinjals length-wise and immerse in water immediately. Cut drumsticks into 1½” pieces. Finely chop onions and keep aside. Method: Roast the ingredients for masala powder in a kadai for 2 minutes. Switch off the fire. Allow it to cool. Powder the ingredients finely in a mixer-grinder. Keep aside. Cook karamani or mochai in a pressure cooker for 5 minutes or 5 whistles. Once pressure subsides, remove from the cooker and keep aside. Heat oil in a kadai, add mustard seeds and once they start to sputter, add urad dhal. Fry till the dhal turns golden brown in color. Add chopped onion and curry leaves. Fry till the onion becomes transparent. Add brinjal, drumstick, karamani/mochai, salt and turmeric powder. Mix well. Cover and cook on a low flame till the vegetables are done. Add masala powder and mix well. Cook on a low flame till oil separates. Switch off the fire. 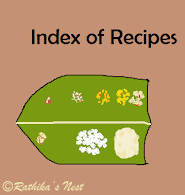 Serve hot with rice and rasam, sambar or kuzhambu.